Ríocht na hÉireann, agus Teaghlach de Buitléir. John Perrot William Pelham William Stanley Thomas ButlerWilliam St Leger, Tomás Dubh de Buitléir. Ba é an Dara Éirí Amach i nDeasmhumhain (1579-1583) an t-éirí amach b’fhairsing agus b’fhuilteach den dá cheann i nDeasmhumhain, a thosaigh ríshliocht Mhic Gearailt Dheasmhumhan i gCúige Mumhan, Éire, in aghaidh fhorlámhas coimhthíoch na Sasanach in Éirinn. Thosaigh an dara éirí amach seo i mí Iúil na bliana 1579, nuair a tháinig Séamus Mac Muiris Mac Gearailt i dtír in Éirinn, agus fórsa de chuid arm an Phápa ina theannta aige. Spreag an eachtra seo éirí amach fud fad dheisceart na tíre, i measc iadsan a bhí báúil do ríshliocht Mhic Gearailt agus a bhí míshásta le Rialtas Shasana sa tír ar chúiseanna éagsúla. Nuair a tháinig an troid chun deiridh, bhí na ceannaircí cloíte, agus bhí Gearóid Mac Gearailt, an 15ú hIarla Dheasmhumhan, básaithe. agus cosaint an Chaitliceachais in éadan rialach Bhanríona Protastúnaí a bhí tar éis a bheith fógartha ina heiriceach in 1570 sa bhulla de chuid an Phápa, Regnans in Excelcis. Mar thoradh ar theip an dá éirí amach, tharla léirscrios ar ríshliocht Dheasmumhan agus plandáladh na críocha siúd le coilínigh ó Shasana ina dhiaidh sin - Plandáil na Mumhan - sa bhliain 1585. Chomh maith leis sin, rinneadh cuid mhaith d'uachtar na hÉireann a bhánú faoin am gur stad an troid. Ceaptar go bhfuair suas le trian de dhaonra na Mumhan bás de dheasca gorta agus galair ar thorthaí den chogadh iad. Bhí an teideal Iarla Dheasmhumhan ag craobh Mumhanach na Mac Gearailt, ar ar tugadh na “Gearaltaigh” orthu. Ag am an dá Éirí Amach, ba é Gearóid Mac Gearailt, an 15ú hIarla Dheasmhumhan, ar a dtagrófar dó mar "Iarla Dheasmhumhan" sa chuntas seo, a raibh an teideal sin aige. Agóid armtha i gcoinne an chur isteach a bhí déanta ag na Sasanaigh i dtailte Dheasmhumhan ab ea an Chéad Éirí Amach i nDeasmhumhain (1569–73). Go sonrach bhí sé i gcoinne chruthú oifig an “Tiarna Uachtarán” (Gobharnóir) ar an Mumhain chomh maith le beartais na Sasanach a thug buntáiste do chomhraic na nGearaltach, na Buitléirigh d’Oirmhumhain, agus coilínigh Shasanacha éagsúla. 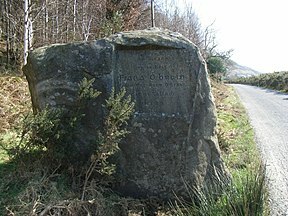 Ba é an chúis ghearáin ba thromchúisí a bhí ag na Gearaltaigh ná gur ghabh an rialtas Gearóid an tIarla agus a dheartháir Seán Dheasmhumhan in 1568 as an bpáirt a ghlac siad sa chogadh príobháideach i gcoinne na Buitléairigh in 1565, coimhlint a shroich buaicphointe le Cogadh Áth Mheáin i gContae Phort Láirge in 1565. Thosaigh Séamus Mac Muiris Mac Gearailt, captaen ginearál airm na nGearaltach, an Chéad Éirí Amach i nDeasmhumhain in 1569, in éagmais cheannasaíocht Dheasmhumhan. Rinne fórsaí choróin Shasana agus a gcomhghuaillí (go háirithe na Buitléirigh, faoi stiúir Thomáis de Buitléir, 3ú Iarla Oirmhumhan), an reibiliún a chur faoi chois, agus tháinig deireadh leis in 1573. Ba é an fhreagairt a thug na Sasanaigh don chéad éirí amach ná idir-réiteach a dhéanamh leis na Gearaltaigh. Tugadh pardún do Mhac Muiris, ceannasaí an reibiliúin. Scaoileadh saor an tIarla agus a dheartháir Seán Dheasmhumhan ón ngéibheann chun filleadh ar ais go dtí a dtailte. Chomh déanach le 1579, bhí an chuma ar an scéal nach dtabharfadh na Gearaltaigh dúshlán rialtas Shasana i Mumhain go deo. Mar thoradh ar mheascán tosca pearsanta, eacnamaíochta agus reiligiúnacha, chomh maith le gníomhartha Shéamuis Mhic Muiris Mhic Gearailt é féin, áfach, phléasc reibiliún amach i mí Iúil na bliana sin. Tharla gur fágadh Mac Muiris, a bhí i bhfeighil ar an gcéad reibiliún, gan tailte agus gan chumhacht nuair a cuireadh an tsíocháin i réim arís. Coigistíodh tailte a fuair sé le hoidhreacht agus tugadh iad do choilínigh Shasanacha. Cuireadh cosc ar Iarla Dheasmhuamhan gan seirbhís mhíleata a dhianiarrthach agus gan trúpaí a vasáilligh a chur ar ceathrúin (cleachtadh ar ar tugadh coyne and livery), agus fágadh é gan ach 20 riadaire a choimeád ina sheirbhís príobháideach. D’fhág an cealú seo ar airm phríobháideacha a rinne an rialtas go raibh Mac Muiris, ar shaighdiúir gairmiúil é, gan foinse ioncaim. Fágadh Mac Muiris ar an trá fholamh mar gheall air sin agus in 1574 chuir an tIarla amach é as na tailte a raibh aige ar cíos ó 1573. Chomh maith leis na gearáin uile siúd, bhí Mac Muiris tiomanta go dílis don Fhrith-Reifirméisean san Eaglais Chaitliceach agus gráin dhomhain aige don Phrotastúnachas, arbh iad na Gaill a thug isteach in Éirinn é.
D’fhág Mac Muiris Éire in 1575 agus thug sé aghaidh ar an bhFrainc chun cúnamh a lorg ó chumhachtaí Caitliceacha chun reibiliún eile a chur i gcrích. Agus é ar deoraíocht san Eoraip ó 1575 ar leith, rinne Mac Muiris iarracht tacaíocht do reibiliún eile a fháil. Rinne sé caimiléireacht ag Cúirt na Fraince agus ag Cúirt na Spáinne chun ionradh eachtrannach a dhéanamh ar Éirinn. Ní raibh suim dá laghad ag Pilib II na Spáinne tacaíocht a thabhairt dó, áfach, ós rud é go raibh sé faoi róbhrú agus é sáite sa troid in Éirí Amach Dúitseach san Ísiltír. Ba mhó a d'éirigh le Mac Muiris i gcúirt Phápa Greagóir XIII, áfach, áit inar casadh é ar shagairt Chaitliceacha Rómhánacha dála William Allen agus Nicholas Sanders a bhí ag iarraidh ionradh a dhéanamh ar Shasana chun Éilís a chur as coróin agus monarcacht Chaitliceach a chur i bhfeidhm arís. Phleanáil Mac Muiris turas taiscéalaíochta le Captaen Thomas Stukley, agus an cuspóir a bhí leis ná Giacomo Boncompagni, nia ag Pápa Greagóir, a chur i gcoróin ina Rí ar Éirinn. Bhí na Caitlicigh Shasanacha i bhfabhar na scéime seo. Chuir an Pápa saighdiúirí coise ar fáil do Stukley agus chuaigh seisean ar seol ó Civitavecchia na Róimhe in éineacht le 1000 fear i mí an Mhárta 1578, gadaithe bóthair agus muscaedóirí ina measc, chomh maith le roinnt oifigeach gairmiúil lena n-áirítear Hercules de Pisano agus Sebastiano di San Giuseppe as Bologna. In Cadiz na Spáinne cuireadh leis an mbaicle le roinnt Éireannach agus threoraigh Pilib II go Liospóin é chun longa níos fearr a fháil agus chun bualadh le Mac Muiris. Gan aon long le tairiscint dó, thug Rí Sebastian na Portaingéile cuireadh do Stukley dul in éineacht leis chun ionradh a dhéanamh ar Mharacó, an áit inar maraíodh Stukley i mí Lúnasa 1578 i gCath Alcácer Quibir. Agus sin an tslí inar cuireadh deireadh leis an chéad scéim a bhí ag Mac Muiris ionradh a dhéanamh ar Éirinn. D’fhill Nicholas Sanders, Mac Muiris agus baill eile den bhaicle ar an Róimh agus rinne siad turas taiscéalaíochta eile a chur i gcrích faoi údarás an Phápa. Chuir siad seol i gcóir Éireann ó Chorunna sa Ghailís, sa Spáinn, le fórsa beag de thrúpaí Éireannacha, Spáinneacha agus Iodálacha go luath i mí Iúil 1579. Bhí soitheach Mhic Mui é féin sa chabhlach chomh maith le trí shlúpa Spáinneacha. Chuaigh Matthew de Oviedo isteach leis, chomh maith le Nicholas Sanders, mar choimeasár an Phápa. Ar a slí trasna Muir nIocht, ghabh siad dhá shoitheach Shasanacha agus tháinig siad i dtír ar chaladh Dhaingean Uí Chúis (i gContae Chiarraí) ar an 16 Iúil. Ar an 18ú lá den mhí sin chuaigh siad ar ancaire sa chuan beag darb ainm Ard na Caithne (ar a dtugadh Smerwick air), ina raibh garastún cosanta bunaithe acu ar Dhún an Óir, dún ceann tíre ón Iarannaois gar don chuan. Rinne Nicholas Sanders bratach an Phápa a thaispeáint ar pharáid shearmanasach i nDaingean agus d'fhógair Mac Muiris cogadh creidimh faoi údarás litreacha ón bPápa. B’ábhar an-suntasach é sin i samhlaíocht an 16ú haois toisc gur lig sé géillsinigh Chaitliceacha Éilís I óna ndualgais di, ar na cúinsí gurbh eiriceach í (bhí an Pápa tar éis í a choinnealbhá in 1570). Ós rud é gur fhógair Mac Muiris dúshlán dlisteanacht ríora Túdair a bheith i gcoróin ar Éirinn go poiblí, ba dhóichí go mbeadh síocháin idirbheartaithe mar chríoch den éirí amach, i gcodarsnacht leis an gCéad Éirí Amach i nDeasmhumhain idir 1569 agus 1573. Ar an 25 Iúil 1579, tháinig dhá rámhlong Spáinneacha agus 100 trúpa Spáinneach breise chun cur leis neart an fhórsa. Seans maith go gcuirfí fórsa beag Mhic Muiris faoi chois go tapa ach amháin gur tháinig Seán Dheasmhuman chun tacaíocht a thabhairt ar an 1 Lúnasa 1579. Mar aon le Mac Muiris, bhí Seán (Seán Mac Éamainn Mac Gearailt) ina shaighdiúir, agus bhí gnaoi shuntasach aige i measc saighdiúirí díomhaoine diomúcha na Mumhan. Ní go dtí go ndeachaigh seisean isteach leis an éirí amach go ndeachaigh na sluaite móra dos na saighdiúirí sin isteach san iarracht chomh maith. Mar chomhartha go raibh siad tar éis dul leis an éirí amach, rinne Seán agus a dheartháir, Séamus Mac Éamainn Mac Gearailt, Seanascal Ó Mic Coille (The Seneschal of Imokilly sa Bhéarla) beirt oifigeach Shasanach a fheallmharú, Henry Davells agus Arthur Carter, i dteach tábhairne i dTrá Lí. Bhí breis is 3000 fear faoi stiúir Sheán Dheasmhumhan agus Mhic Muiris le chéile, agus baicle beag saighdiúirí Eorpacha ina measc siúd, i dteannta leis na mílte Gael dúchasach. Cuireadh deireadh leis an bhféidearthacht go dtiocfadh níos mó fórsaí ón Mór-Roinn le hatreisiú an fórsa, áfach, nuair a ghabh Sir William Wynter longa an ionraidh ar an 29 Iúil 1579, ceithre lá i ndiaidh an teacht i dtír ar Ard na Caithne, rud a d’fhág gur cuireadh deireadh lena mbealaí farraige. Ar dtús, rinne Iarla Dheasmhumhan, nach raibh róbhuartha faoin gcoilíneacht Shasanach a tháinig sna sála ar an gcead éirí amach, iarracht reibiliún Mhic Muiris a chur faoi chois agus arm a chur le chéile chun na críche sin. Níor éirigh leis ach 60 fear a spreagadh, áfach - i gcodarsnacht leis na mílte a chuaigh lena dheartháir Seán faoi ghearrfhógra, táscaire go raibh mórchuid de na Gearaltaigh agus a gcuid comhghuallaithe báúil leis an éirí amach. Chuaigh cuid den fhórsa ionraidh go críocha eile sa tír. Chuaigh líon beag dóibh go Caisleán Charraig an Phoill ar bhruach theas Abhainn na Sionainne (i dtuaisceart Chontae Chiarraí), suíochán Iarla Dheasmhumhan. Cuimsíodh innealtóir Iodálach, Captaen Julian, a thug faoi barr feabhais a chur ar chóir chosanta an chaisleáin. Chuaigh Mac Muiris é féin ar sciuird go Connachta chun reibiliún a spreagadh ansiúd. Ach maraíodh é i scirmis i gcoinne na de Búrca de Chlann Liam ar an 18 Lúnasa 1579, áfach, nuair a ghoid a fhir capaill le Theobald de Búrca iad (ar chol ceathrar de chuid Mhic Muiris é ar dhóigh iarónta). D’fhág sé sin go raibh an reibiliún faoi stiúir Sheán Dheasmhumhan, a bhí ina cheannaire ar na Gearaltaigh le fírinne. Déanach i mí Dheireadh Fómhair, chuaigh Malby ar máirseáil trí tailte de chuid Dheasmhumhan, ag scrios na timpeallachta agus ag éileamh go dtabharfadh Gearóid Iarla Dheasmhumhan suas a chaisleán ag Eas Géitine. Dhiúltaigh an tIarla agus sheas sé an fód nuair a rinne Malby iarracht an caisleán a fhorghabháil trí rinn agus fhaobhar. Leis sin, D’fhógair William Pelham, an Tiarna Breitheamh ar Éirinn, gur bhrathadóir é an tIarla, agus mar sin gurbh cheart go ngabhfaí é agus go gcuirfí chun báis é. Mar thoradh air seo, ní raibh rabhadh ag Gearóid agus na Gearaltaigh eile nach raibh fós ag éirí amach ach dul isteach leis na reibiliúnaigh. Ghlac an tIarla ceannasaíocht an éirí amach i slí mórthaibhseach. Ar an 13 Samhain 1579, rinne sé agus a lucht leanúnach Eochaill a chreachadh, sléacht a dhéanamh ar an ngarastún Sasanach a bhí ann, na hoifigigh Shasanacha ann a chrochadh, siopaí an bhaile a creachadh agus drochíde a thabhairt don phobal sibhialtach ann. Leis sin chuir fórsa Dheasmhumhan cathair Chorcaí faoi léigir roimh dó tharraingt siar go dtí sléibhte Chiarraí. Ag an am céanna, d’fhógair Mac Cárthaigh Mór, taoiseach na Mic Cárthaigh, go raibh sé chun dul isteach sa reibiliún agus rinne sé creachadh ar Chionn tSáile. Go luath an bhliain dar gcionn, d’éirigh le fórsaí na Corónach díoltas a bhaint amach ar Iarla Dheasmhumhan mar fhreagra ar a gníomhartha fíochmhara. Cuireadh Tomás de Buitléir, 3ú Iarla Oirmhumhan, Sir William Pelham agus Sir George Carew go Mumhain chun na reibiliúnaithe a chur faoi chois agus rinne siadsan tailte Dheasmhumhan i gContae Luimnigh, i gContae Chorcaí agus i dtuaisceart Chontae Chiarraí a chreachadh ar bhealach sistéamach agus na sibialtaigh a bhí ina gcónaí ann a mharú go fánach. Is éard a bhí mar chuspóir na beartaíochta siúd ná an oiread damáiste gurbh fhéidir a dhéanamh don gheilleagar is don mhuintearas i nDheasmhumhain, ionas gurbh éigean do lucht leanúnach an Iarla éirí as an reibiliún. Ní amháin Sasanaigh a n-áiríodh i dtrúpaí na Corónach ach fórsaí Éireannacha chomh maith a bhí naimhdeach leis na Gearaltaigh, go mór mór, i dteannta le lucht leanúnach Oirmhumhnach, na Mic Carthaigh Mic Riabhaigh Chairbreach ina n-áiríodh thar mhíle fear chomh maith leis an Ua Eidirsceoil. Ina dteannta sin, thionlaic 3ú Iarla Thír Eoghain baicle fear óna thailte i gCúige Uladh. I mí an Mhárta 1580, bhain fórsaí na Corónach bua tábhachtach straitéiseach amach nuair a d’éirigh leo daingean de chuid Dheasmhumhan a bhí lonnaithe ag béal na Sionainne, Caisleán Charraig an Phoill. Ba é William Pelham, a raibh 1400 saighdiúirí aige chomh maith le cúnamh ó William Winter agus an fórsa cabhlaigh dá chuid, a ghabh an Caisleán Charraig an Phoill, an príomhdhaingean a bhí ag Iarla Dheasmhumhan ar bhéal na Sionainne agus rinne ár ar gharastún na reibiliúnaithe ann. Leis sin, bhí stop curtha acu le lón cogaidh d'fhórsaí na nGearaltach ó thuaisceart na tíre, agus cosc curtha acu, leis, ar an bhféidireacht go dtiocfadh fórsaí eachtrannacha i dtír i bpríomhchaladh na Mumhan, Luimneach. Thit daingin eile de chuid Dheasmhuman go tapa nuair a leath an scéala faoi scrios Chaisleán Charraig an Phoill. Fágadh an caisleán in Eas Géitine agus rinne na Spáinnigh a bhí á chosaint a bhallaí a phléascadh, agus ghéill na garastúin sa Chaisleán Nua, i mBaile an Locháin, i Ráth Caola agus i mBaile Dubh don namhaid tamall beag ina dhiaidh sin. Rinne a lán de na tiarnaí a raibh tar éis dóibh dul isteach sa reibiliún a ghéilleadh do na Sasanaigh, chomh maith, agus measúnú déanta acu go raibh an ceann is fearr acu faoin bpointe sin. Ina measc siúd bhí Mac Cárthaigh Mór, de Róiste, de Barra, chomh maith leis a lán tiarnaí eile. Faoin samhradh 1580, bhí an chuma ar an scéal go raibh an ceann is fearr faighte ag na Sasanaigh agus an reibiliún curtha faoina gcois, ach athbheodh an t-éirí amach nuair a bhris reibiliún nua amach san oirthear, i gCúige Laighean. I mí Iúil 1580, rinne Fiach Mac Aodh Ó Broin, a bhí lonnaithe i sléibhte Chill Mhantáin, tús a chur leis an reibiliún in oirthear na hÉireann. Chuir sé comhghuaillíocht de thiarnaí agus taoisigh as an réigiún sin le chéile, agus Caomhánaigh, an Ua Tuathail, agus an Ua Mórda ina measc. Bhí a lán de na fórsaí sin ag troid in aghaidh gharastúin na Sasanach ó am go chéile le blianta beaga anuas, ag an am sin. Ba chúis ar leith iad na dúnmharuithe gan chúis a rinne oifigeach Sasanach a bhí bunaithe i gCill Mhantáin darbh ainm Masterson chun cuid mhaith de na baiclí siúd a mhealladh chun éirí amach, de réir dealraimh. Chun an riail Shasanach a dhiúltú go siombalach, rinne na reibiliúnaithe teideal Rí Laighean a bhronnadh ar Créón Mac Murchú Caomhánach, a raibh an teideal céanna ag a mhuintir sinsearach roimh teacht na Sasanach. Chuaigh James Eustace Bíocunta Bhealach Conglais, Tiarna de chuid Shean-Ghaill na Pála de shliocht mhuintir Mercia, ar spreagadh é de bharr an creideamh cráifeach a bhí aige sa Caitliceachas go príomha, isteach leis Ó Broin. I mí Lúnasa, chuaigh Seán Dheasmhumhan agus Nicholas Sanders i gcomhar a chéile leis an mBíocunta Bhealach Conglais i gContae Laoise in iarracht comheagar a chur ar a gcuid fórsaí, ach cé is moite den chomhoibriú teoranta a rinneadar i gcríocha Ghleann na Bearuithe, níor éirigh leo comhstraitéis a chur i gcrích. Mar sin féin, b’údar mór imní do na Sasanaigh é briseadh amach an reibiliún chomh gar sin do croílár rialtas na Sasanach i mBaile Átha Cliath. Bhí an Tiarna Henry Sidney, iar-Fhear Ionaid ar Éirinn in ann a thionchar a imirt ar an bhfreagairt a tugadh mar gheall ar a chomhaltas ar an Ríchomhairle agus i mí Lúnasa 1580 cuireadh Fear Ionaid nua, Arthur Grey, an 14ú Barún Grey de Wilton ar seol go hÉirinn ó Shasana in éineacht le 6,000 trúpa. Ba é an chloch is mó ar phaidrín a bhí ag Grey nó an reibiliún i Laighean a chur faoi chois gan mhoill. Ar an 25 Lúnasa 1580, rinne fórsaí Uí Bhroin agus an Bíocunta Baltinglas i gCath Ghleann Molúra sléacht ar fhórsaí Sasanacha faoi stiúir Grey. Agus iad i mbun ruathar a thabhairt faoi dhaingean Uí Bhroin i nGleann Molúra i gcroílár sléibhte Chill Mhantáin rinneadh luíochán orthu agus rinneadh bia míoltóige díobh; fágadh 800 díobh marbh. Rinne Grey de Wilton William Stanley a shannadh chun an Pháil i Laighin a chosaint. Den chuid eile den chogadh, rinne Ó Broin agus a gcomhghuaillithe ruathar a thabhairt ar lonnaíochtaí Sasanacha san oirthear agus san oirdheisceart, agus ní raibh siad in ann deis straitéiseach a thapú as an mbua a bhí acu i nGleann Molúra. Crochadh roinnt mhaith daoine ón bPáil agus ó cheantair eile ina raibh na Sean-Gaill lonnaithe, dála Loch Garman (ina raibh muintir na háite i gcónaí dílis d’údarás na Sasanach) as a bheith ina mbrathadóirí. Bhí Diarmaid Ó hUrthuile Ardeaspag Caitliceach Chaisil i measc iadsan ar cuireadh chun báis iad. Chomh maith leis sin, fuair Maighréad de Bhál (Margaret Ball) bás, bean chéile Ard-Mhéara Bhaile Átha Cliath agus í i gcarcair i gCaisleán Bhaile Átha Cliath. Is minic a d’fhógair iadsan ar cuireadh chun báis iad a gcreideamh Caitliceach ón scafall agus ar tugadh an Eaglais ómós dóibh mar mhairtírigh Chaitliceacha ina dhiaidh dá dheasca. Ba phríomhchúinse é an tsraith básuithe siúd sa tslí ina scaoileadh na Sean-Ghaill ón stát faoi riail na Sasanach in Éirinn ar bhonn fadtréimhseach. Ar an 10 Meán Fómhair 1580, tháinig 600 trúpaí de chuid an Phápa (Spáinnigh agus Iodálaigh araon) faoi stiúir Sebastiano di San Giuseppe (nó Sebastiano de Modena mar is fearr aithne) i dtír ag Dún an Óir, gar leis an ball ina tháinig Mac Muiris i dtír an bhliain roimhe sin. Bhí an Pápa Gríogaire tar éis íocadh astu agus iad a chur ar seol chun cuidiú leis an reibiliún. Rinne Deasmhumhain, Bhealach Conglais agus Seán Dheasmhumhan iarracht teacht in éineacht leis an bhfórsa sluaíochta ach bhlocáil Oirmhumhain agus Grey iad agus rinneadh longa fhórsaí an Phápa a imshuí sa bhá ag Dún an Óir nuair a ghníomhaigh Richard Bingham go gasta leis an loingeas faoina stiúir. Ní raibh rogha ná rogha ag San Giuseppe ach na fir faoina chúram a dhaingniú sa dún ag Dún ár Óir. I mí Dheireadh Fómhair 1580, shroich Grey de Wilton Dún an Óir agus suas le 4000 trúpa aige, agus rinne sé léigear don gharastún ann. Bhí na fórsaí ionraidh scoite de réir an tírdhreacha agus iad gafa ar rinn cúng leithinis Chorcha Dhuibhne, sáinnithe idir Cnoc Bréanainn ar thaobh amháin agus fórsa Sasanach i bhfad níos mó ar an taobh eile dóibh. Ní raibh aon bhealach éalaithe acu. Ina theannta sin, bhí na Sasanaigh tar éis gunnaí móra thromairtléire a iompar ann ar muir, agus bhí siad in ann na cosaint sheiftithe a bhí i nDún ár Óir a bhriseadh go mear. Ghéill Di san Giuseppe, ceannasaí, ar an 10 Deireadh Fómhair 1580 i ndiaidh léigear trí lá. D’ordaigh Grey de Wilton go ndéanfar ár ar na bhfórsaí ionraidh, gan spáráil ach amháin na ceannasaithe. Baineadh an ceann de thrúpaí Iodálacha agus de thrúpaí Spáinneacha, agus d'fhir is mná Éireannacha leis, agus caitheadh a gcorp san fharraige. Bhí athrú cinniúnach curtha ar chúrsaí leis an sléacht a tharla ag Dún an Óir, agus bhí an lámh in uachtar faighte ag lucht Shasana ar na reibiliúnaigh. Lean an cogadh ar aghaidh ar feadh dhá bhliain ina dhiaidh, áfach, agus d'éirigh an treallchogaíocht ní ba sheirbhe de réir a chéile. Tharla gur fhulaing an gnáthphobal go géar mar gheall ar an gcogadh, rinne an dá thaobh ionsaí orthu agus scriosadh a mbarraí, a mbeithígh agus a mbailte. Ba é Grey an ceannaire Sasanach ba neamhthrócairigh a bhí ann, agus tá tagairt dó mar "fhear fuilteach, nár airigh gurbh thar madraí iad a ngéillsinigh." De réir a chuntais féin, is éard a bhí aige mar phríomhtheaictic ná "an arbhar a loscadh, an fómhar a mhilleadh agus a mbeithígh a ruaigeadh." D'fhág an teaictic sin gur tháinig gorta go Deasmhumhain agus gur mbris galair amach arbh é an míchothú ba chúis léi. Rinne Eilís I Grey a aistriú as oifig an Fhir Ionaid mar gheall ar a bhródúlachta, a bhí iomarcach. Faoi lár den bhliain 1582 thuairiscigh Warham St Leger go raibh 30,000 duine tar éis bás a fháil leis an ocras i Mumhain amháin le linn na sé mhí a chuaigh thart díreach roimhe sin agus go raibh na céadta ag fáil bháis I gcathair Chorcaí, le hocras agus le galair araon. Cyril Falls Elizabeth's Irish Wars (1950; reprint London, 1996). ISBN 0-09-477220-7. Tugadh an leathanach seo cothrom le dáta an 13 Samhain 2018 ag 15:53.